Brennan Burtker is most proud of its formation of the healthcare practice group. 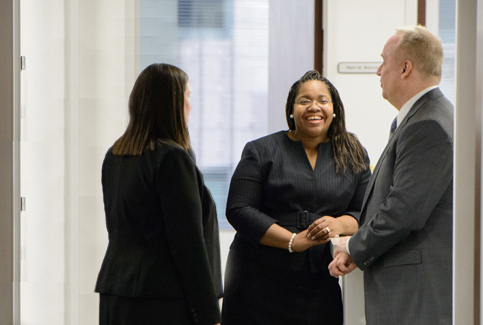 Using their experience as courtroom litigators, Brennan Burtker attorneys have a unique perspective to offer the legal healthcare market. The firm’s health care services include drafting contracts, designing peer review processes and protocols, drafting or revising patient consent forms, negotiating disputes between healthcare partners, fostering mutually beneficial relationships among hospitals, and creating business entities for entrepreneurial physicians. There is a discrete advantage to having experienced litigators provide these services. The lawyers at Brennan Burtker utilize their intimate knowledge of the trends in litigation to help their clients carefully avoid the common pitfalls and mistakes that routinely cause litigation in the first place. This experience also permits Brennan Burtker lawyers to offer a wide variety of risk transfer options for clients to weave into their business practices leaving them prepared when disputes arise down the road.